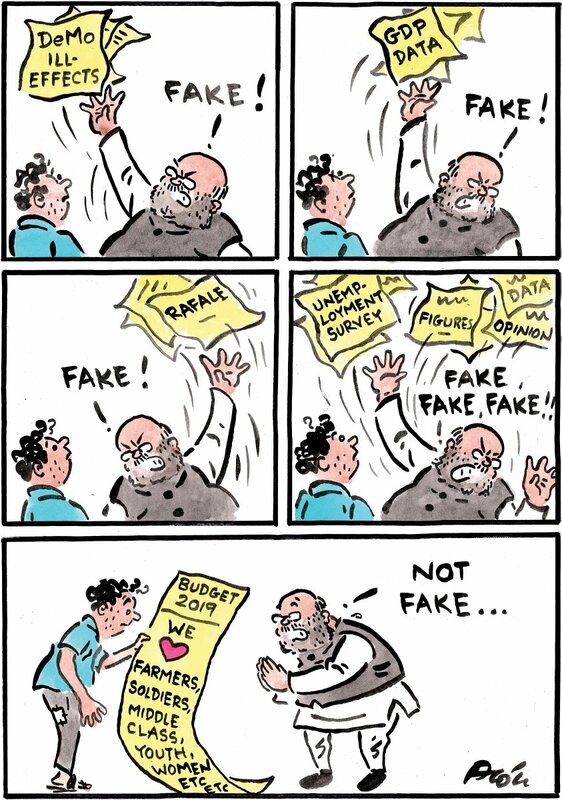 Alok for Sakal Media Group illustrates BJP President Amit Shah, indignantly dismissing all questions and allegations against his party, but now wanting the very same audience to be taken in by the BJP’s promises in its final budget. Satish Acharya for Newssting takes a jibe at West Bengal Chief Minister Mamata Banerjee for refusing to allow BJP president Amit Shah and U.P. 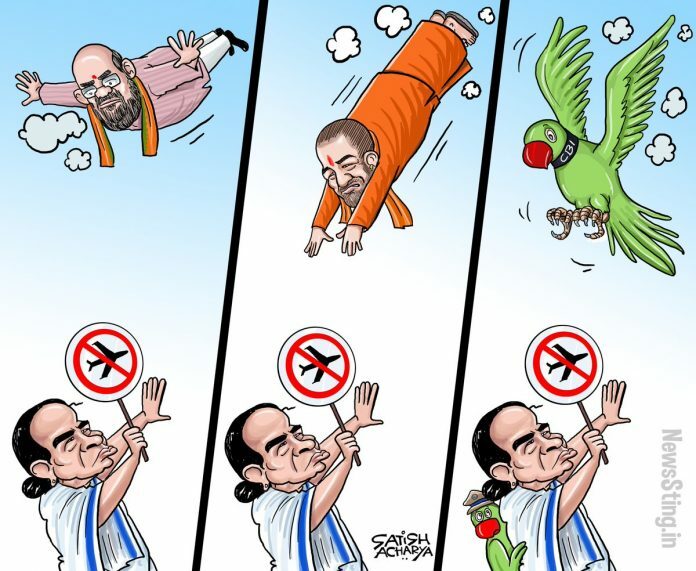 Chief Minister Yogi Adityanath from conducting rallies in the state, as well her current standoff with the CBI over the Saradha Ponzi scam. 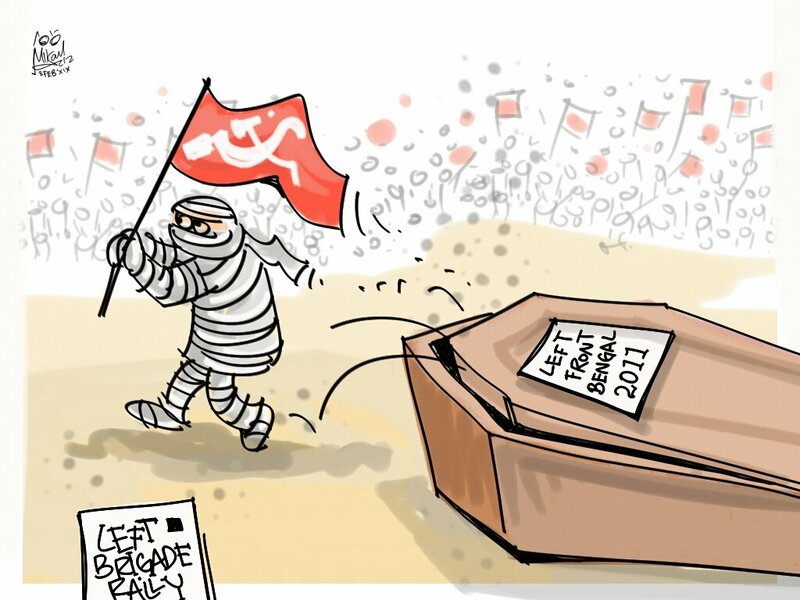 Mika Aziz suggests that the Left front has woken up from its slumber in West Bengal in the wake of the turnout at the Brigade Parade in Kolkata Sunday. 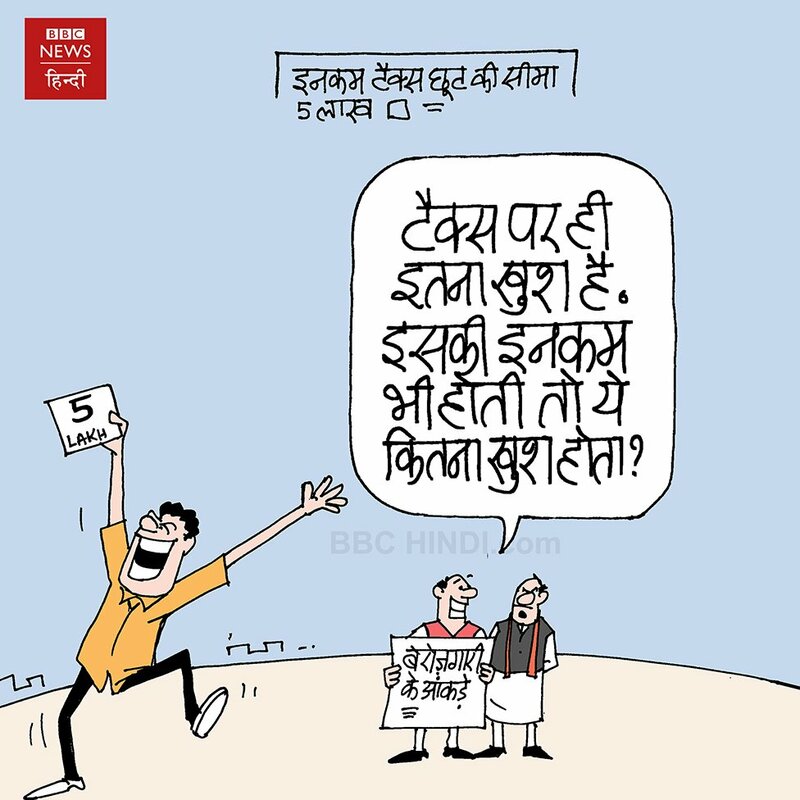 Kirtish Bhatt for BBC News Hindi weighs in on the row over the Modi government’s tax proposal in the budget. 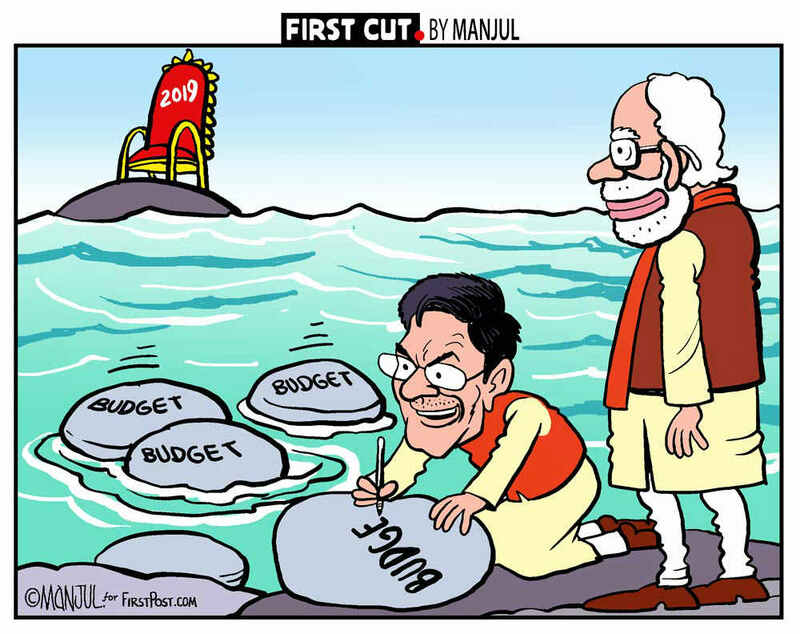 Manul | FirstpostManjul for Firstpost alludes to the Ramayana as he depicts the perception gaining ground that the budget, announced by Finance Minister Piyush Goyal, may help Prime Minister Narendra Modi triumph in the 2019 Lok Sabha elections. 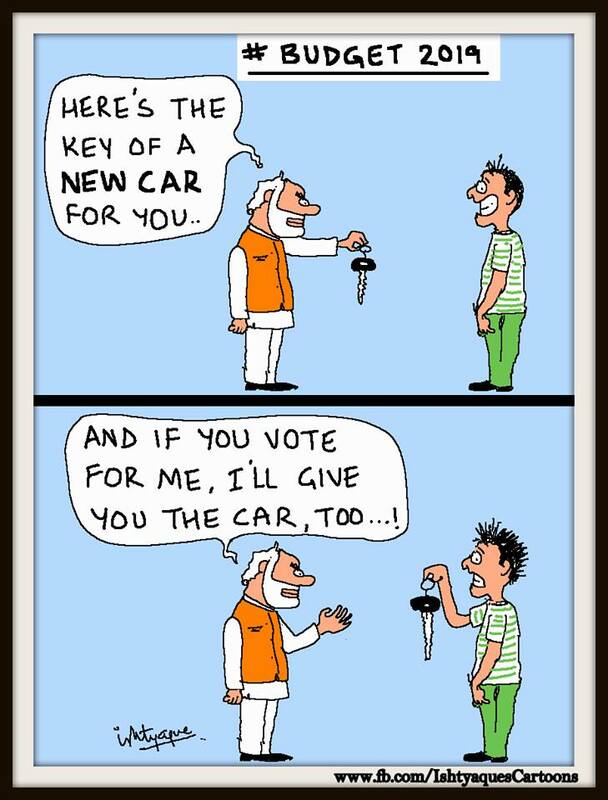 Ishtyaque takes a dig at the BJP government’s tax exemption plan for people earning less than Rs 5 Lakh a year, juxtaposing it with a leaked NSSO report that pegged current unemployment rate as being the highest in 45 years.